Experts in Household moves, Commercial Relocation & Warehousing/Logistics. Providing friendly quality service since 1965. 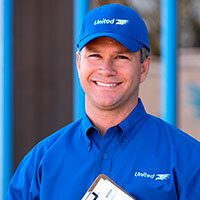 Allstate Moving Systems is an agent for United Van Lines, one of the most successful and dependable movers in the nation. Our 50 years of experience has contributed to our reputation as an expert in all Southern California moves. Allstate serves areas like Los Angeles, San Diego, Oceanside, Hollywood, Poway, Ventura and much more. We can assist you with any move, whether it is a local move, long distance move, international move, commercial move or a corporate relocation. Every step of the way, our team is committed to excellence. We honestly believe that if it were not for your drivers personality, professionalism, and his expertise, our relocation from San Diego to Redondo Beach would not have taken place! His know-how and his efforts, and his ability to turn a very stressful and difficult situation into a successful move (where he actually had us laughing and enjoying the continued challenges). One of the greatest assets for a growing business is consistency. Allstate has provided our growing business with consistent service over the past ten years. The Allstate fulfillment team has done a superior job in helping us serve our customers needs. We look forward to another decade of growth and know that Allstate will be there when we need them. We recently used the services of your company for a local San Diego move. The three man crew was polite, hard working and respectful of our possessions. The move was completed within the promised time frame. We would be happy to recommend Allstate Moving Systems to anyone looking for a moving company.